Today was Mother’s Day eve in France, and for reasons which are not particularly clear, we decided that we should make an effort to procure “our orchid”. This orchid on the boat thing is a custom introduced to us by our friend Sunny many years ago. 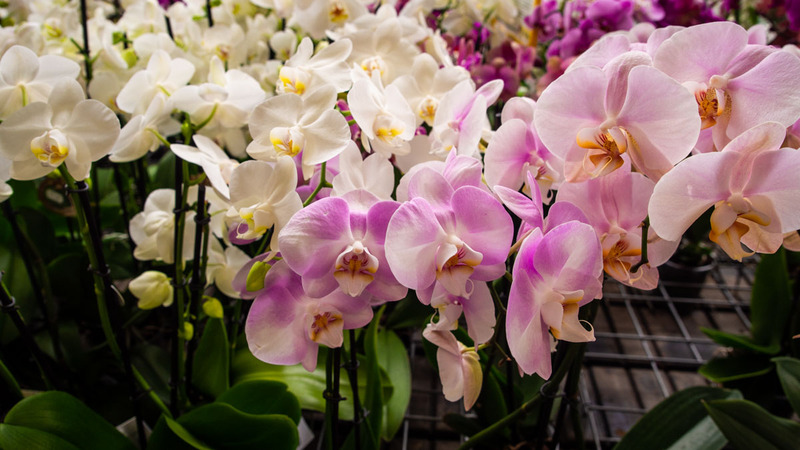 Flowering orchids can be purchased quite economically, and the flowers are so long lasting that when placed in a prominent position aboard, one can have the pleasure of watching the thing die slowly over a whole summer. Last year through an accident of timing and supermarket stock, we ended up with a Bromeliad which had more than a passing resemblance to the rough end of a pineapple, and although it did survive the summer completely unscathed, apparently met a nasty end in the clutches of Bill’s cat. Which brings us to the garden shop in Lunéville where we, a bit overdue for a nap, a bit overcome from mixing it with the Saturday supermarket crowds were shocked discover that the Australian pre Mother’s Day pricing policies have hit hard in France as well. There’s a principle at stake. Despite the immutable mathematical reality that a return trip will cost many times the difference in the potential saving, we will not buy today. Oh no, we might even give the orchid a swerve entirely this year. They know what they can do with the rough end of their Bromeliads!